This is a huge deal. 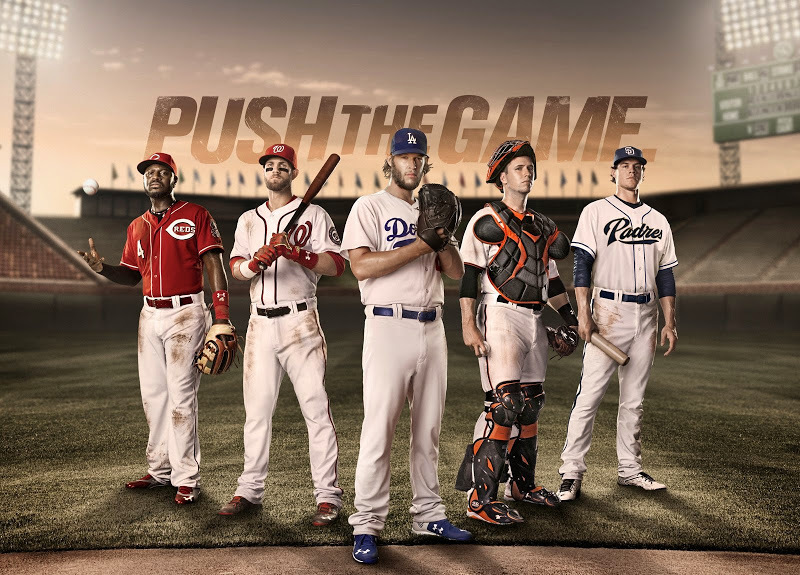 Majestic and Nike have had exclusive rights to the MLB uniform. But according to the Sports Business Journal, that ends in 2020 when Under Armour takes over. All uniforms will be made by UA and we could expect some changes to some uniforms. Additionally, Fanatics will also be the merchandise retail seller. They already have a deal in place with MLB Shop but I guess this gives them more autonomy in that case and more influence. Majestic has had the rights to MLB since 2005 and for the most part, they have done pretty well. But Majestic only focuses on MLB as a major business partner and this will hurt their influence in the rest of the sports world. Even though Majestic introduced us to the Flex Base material, they haven’t done anything huge or revolutionary in that time. They didn’t need to but because of that, it might mean the MLB was more willing to try another provider for a chance of something creative or new. This is going to be a big change but most teams are unlikely to follow suit with a complete identity overhaul. Some teams that have not been around that long, like the Diamondbacks and their uniform change, might decide to give UA a chance. UA has already made its mark in the college scene and notable players like Buster Posey and Clayton Kershaw wear the brand. It’s a shift that we expected and now we have an idea when the full overhaul is coming. I was reminded on Facebook about this photo I had taken during my first season covering the 49ers. I cannot remember if it was my first game (it probably wasn’t) but I remember that season very well. That 2009 season was a tough one for the team but it allowed me to get a first taste of what it was like to be a reporter and doing serious work. I cherish my time covering the team in those three seasons. I miss Candlestick Park also. I wish I could go back and watch a game there. But times have changed now. I hope the 49ers get back to their winnings ways.